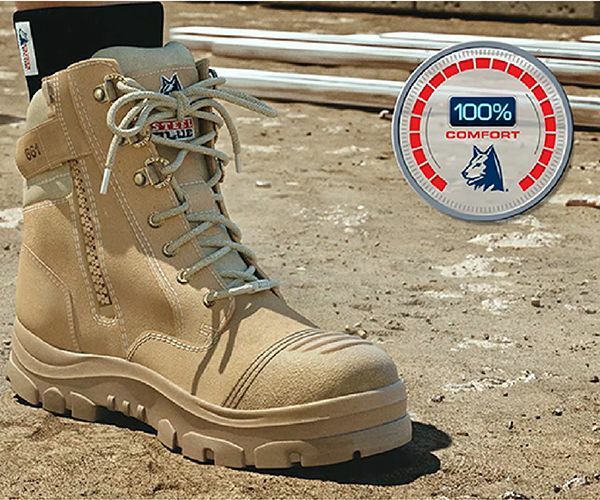 With a multi layered shock absorbing sole and premium grade leather, Steel Blue boots don’t need wearing in. Designed to cushion, cradle and support the entire foot and backed by a 100% Comfort Guarantee, they put a spring in your step from day one. Watch the video to see how Steel Blue boots are made.